Welcome to the Albany Civil Rights Institute (ACRI) website. This site serves as your interactive window into Albany, Georgia’s history of leadership in the fight for civil rights. Through years of slavery, violent racism and segregation, African Americans sought to assert their own basic human dignity and be afforded an equal place in American society. In 1961-1962, the eyes of the nation were focused on Albany as the century-long struggle of African Americans in southwest Georgia to claim their civil and human rights came to a head. Assisted by nationally renowned activists from SNCC, SCLC, CORE and the NAACP, the people of Albany took a stand, determined to fight segregation through nonviolence. ACRI brilliantly captures the stories of ordinary people who became effective change agents in their community. On our walls, in our halls, in our archives and our programs, you will see everyday citizens who changed history with their courage, deeds and strength. 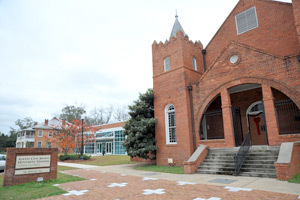 The Albany Civil Rights Institute allows visitors to experience the civil rights movement in southwest Georgia like never before. The legacy of those who have passed on and the stories of those who remain are now housed in a state-of-the-art facility where the past is joined with the future through visual, audio, and digital technology for all to see, hear and experience! IT IS MANDATORY THAT TOUR GROUPS OF 10 OR MORE PEOPLE MAKE A RESERVATION AT LEAST ONE WEEK IN ADVANCE UNLESS OTHERWISE STATED BY MR. FRANK WILSON OR MS. IRENE TURNER. *Free admission for Active Military and their families from Memorial Day to Labor Day. ACRI Members: During the month of September use your membership card to attend the Flint Riverquarium, Chehaw Park & Thronateeska Heritage Center as we celebrate "Swaptember." For more information contact Frank Wilson, Executive Director.